MARCH 29, 2018 – Another snowstorm was about to hit Boston, and warm and contented as I felt in Florida, I knew it was time to go home. I was with two of my close friends, spending a long weekend at my family’s winter home in St. Petersburg. The weather had been beautiful and we were looking forward to a relaxing day at the beach following by an evening concert. But the Boston forecast had led us in a different direction. Hard as it was, we decided to call the airline and change our flight to a day earlier so we would be safely ensconced at home before the first flakes fell. Now, instead of two days to enjoy all that St. Petersburg has to offer, we had to condense our remaining itinerary into a single day. On our list were the Florida Holocaust Museum, a Pink Floyd tribute band concert, a yoga class at a nearby studio and some beach time. We had thought long and hard before deciding to purchase tickets for “Pig Floyd.” I had seen the Lappin Foundation-sponsored documentary “Wish You Weren’t Here.” While I had known that Pink Floyd’s co-founder Roger Waters was anti-Israel, I hadn’t realized the depth of his activities and their impact until the movie’s screening. Waters is a passionate anti-Zionist – and, the film argues, anti-Semite – who “uses the stage to spread hatred and lies about Israel, and about Jews in general,” according to the Israeli newspaper Haaretz’s review of the film. Waters has compared Israel’s treatment of the Palestinians to Nazi Germany and has ardently urged mega-bands like Coldplay and Bon Jovi to cancel their Israeli performances as part of a cultural boycott. He is an outspoken supporter of the BDS (Boycott, Divest, Sanctions) movement, which seeks to apply international pressure to influence Israel’s policies regarding the Palestinians. Yet the band was not Pink Floyd. It was Pig Floyd – a local Florida band – and so we decided to go. I had already become accustomed to changing the station at the first notes of the actual band’s “Comfortably Numb” on the radio, but would listening to a Pink Floyd copy-cat band really be that bad? We had to wonder if the actual band would benefit from our attendance in some way – could part of our ticket revenue eventually land in BDS coffers? But first: the Florida Holo­caust Museum. The first floor traced the history of the Jews in Europe, showing their relative abundance throughout most countries in the early 1900s, as well as Hitler’s rise to power and the insidious ways in which he began slowly removing their freedoms. It described their confinement to Jewish ghettos by the 1940s, and the subsequent implementation of Hitler’s “Final Solution.” The most moving part of the exhibit was an actual boxcar and train track used to transport Jews to the Treblinka concentration camp – a scene evoking the true horror of the Holocaust, with plenty of graphic images to drive the point home. Visiting a Holocaust museum still leaves me a bit shell-shocked. Its impact is so vast, and horror so unabating, it takes a little while to readjust afterward. Emerging from the museum, I wondered whether I had it in me to attend Pig Floyd in a few short hours. My fears about Pig Floyd were confirmed – not because of the music, which was a spot-on imitation of the original with beautiful instrumentation and melodies. I have loved their music since my college days, when their album “Dark Side of the Moon” was in every student’s record collection. What bothered me about the band was its militaristic tone. They have a set of intersecting hammers as their logo, which is prominently displayed on armbands that each member wore. Their lead guitarist was dressed in military regalia – complete with a strange mask that, for all I know, could have been some sort of gas mask. What did this mean? 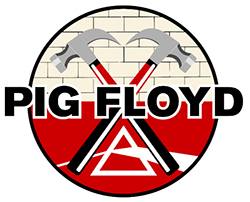 Was Pig Floyd making some sort of political statement in the vein of Roger Waters?  I shuddered to think that this might be true. It was a crazy, mixed-up, emotional day. Watching the band perform so soon after revisiting the atrocities of the Holocaust was perhaps not the best idea – an unfortunate juxtaposition. But I have the feeling I would have still been torn about Pig Floyd regardless of whether I had attended the museum earlier that day. Their concert was amazing but their symbolism deeply disquieting.